YOU MUST PUT “Leapin Leprechaun” in the SUBJECT LINE or the email will not be opened. Scott Bury has been invited to contribute to three Kindle Worlds. For the Jet Kindle World, based on a character created by bestseller Russell Blake, he published Jet: Stealth in 2015. Toby Neal, author of the bestselling Lei Crime series, invited Scott to contribute to the launch of her Lei Crime Kindle World in 2015. He has published four books in the series: Torn Roots; Palm Trees & Snowflakes, Dead Man Lying and Echoes. He has also continued the story of Van and LeBrun from Jet: Stealth in Emily Kimelman’s Sydney Rye Kindle World with The Wife Line in 2016, and The Three-Way in 2017. You can find more about Scott Bury, and contact him through his website, Scott Bury, author, his blog, Written Words, and on Twitter @ScottTheWriter. 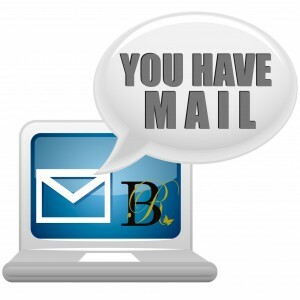 You need to keep all your correspondence as an author separate from your personal email. A hotmail.com or gmail.com account is great to start with, but as you look into designing and getting your own webpage, your email should reflect that address. Pen name: Always remember to sign everything, the personal touch really goes a long way. Social links: Order them in preference and where you can be found the most if fans wanted to connect with you. Website: Make sure you have a URL that is personalized and where possible you should have bought your domain name. Goodreads Page: Make sure the information is up to date and relevent here. Amazon Author Page: Make sure you have everything connected together and your author page looks fresh. Any Writing Badges: Have you won an award? Tell people.